Below was the last status message left by Direk Marilou Diaz-Abaya dated September 17, 2012 on her Facebook wall. "Good news. Cancer cells in my brain have been reduced significantly since my radiation program 3 months ago. I'm off chemo for a whole month YEHEEEY!, just daily hormone pills which, hopefully, will relieve me from the usual side effects. Then next tests will determine how to proceed. I intend to get more physically active hehehe during this respite period. BTW, this happy development happened during the Penafrancia Fiesta last week. So I ask Ina to bless all those who pray for me. Thank you and CHEERS!" "Thank God, Direk Marilou! May God with His loving kindness completely heal you and magnify your good health. His healing hand will cleanse you, His mercy will keep you strong, His love for you will crush all those cancer cells. In Jesus' name I pray. Amen." I'm deeply saddened for the loss of one great Filipino director I really look up to and admire. I have dreamed to have long conversations with her. I told myself perhaps when she's fully well, when I have another chance to see her again in the halls of CCP, or somewhere. I first met her at the Cultural Center of the Philippines (CCP) during the 6th Cinemalaya Film Festival in July 2010 and was very happy meeting her and had our pictures taken. I also met her again in 2011. But we were not able to have long chats. It was just a brief moment. Just a few months ago, a documentary was made in honor of her. I remember she said that she's recovering, although she could get tired so easily. She was still doing her film/s. She was still mentoring her film students despite her condition. It was her deep passion for film and art that kept her going, and working to battle against boredom or loneliness. Nothing could stop her from fueling her creativity. 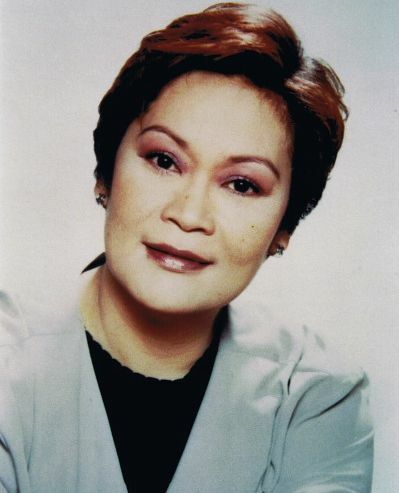 Rest in peace, Direk Marilou Diaz-Abaya (March 30, 1955-October 8, 2012). You will be deeply missed!